Hey, that tastes good! : Happy Father's day! Happy Father's Day! 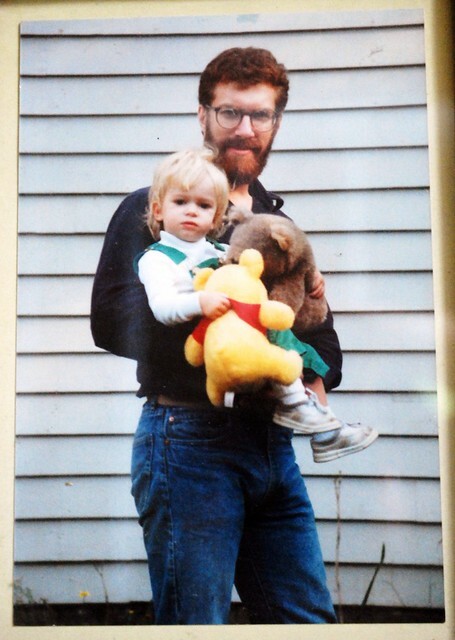 Here is a picture of me and my dad circa 26 or 27 or so years ago. With my friend Pooh and BJ bear. Pooh was later stolen out of the open window of our Volvo while we were shopping, breaking my poor little heart. Today my dad and step mom came over to see the house and visit. I hope you all had a good father's day, and happy father's day to all the dads!